Gold. Do I look better in peach or mustard yellow? Silver. Do I look better in black or mauve? Here are some pictures to help you decide for yourself! Still having trouble? Let me know! 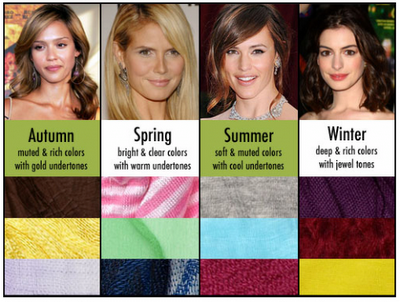 I’d love to help you find your season, and the pallet of colors that best go with your undertones.